While the E-PL2 was essentially a tarted-up E-PL1, with the E-P3 its manufacturer has gone the whole hog in terms of a makeover. However, in Olympus' bid to deliver a Digital Pen that is 'compact and cute', the E-PL3 is a bit of a curio, dropping arguably essential features like a proper handgrip and built-in flash for those more svelte proportions and the tilting rear LCD. Though we're more natural light photographers ourselves, and arguably street photographers who could make up a large part of the E-PL3's audience also won't miss flash either, we're not convinced that what has been gained in this latest Pen iteration wholly justifies what has been lost. And that's a real shame, because while the E-P3 suggested that you can almost have it all when it comes to a compact system camera, the E-PL3 feels slightly compromised in the pursuit of style. Performance wise though it hardly differs from the E-P3, and so, on a positive note, there will be those tempted to save themselves a bit of cash (around £200) - and gain that tilting LCD - by plumping for the more 'affordable' E-PL3. So, viewed as part of the Pen range, for us the E-PL3 fends off any critical barbs rather better than if it were a standalone entity, or had appeared before, rather than simultaneously with, its E-P3 and Pen Mini brethren. That said, £550 would alternatively buy anyone a good quality starter digital SLR and kit lens, so the E-PL3 has to be judged with that caveat too. 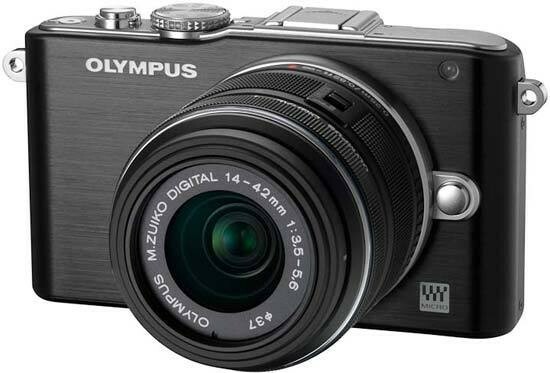 Still, at least design wise it looks a lot better than the E-PL2, and in aiming to broaden the Pen range's appeal, Olympus may well be satisfied to have at least have succeeded in that respect. The E-PL3 is an impressive and funky compact system camera, but third time around we were hoping, perhaps naively, for consolidation of past glories rather than throwing us, in a couple of key respects, something of a curveball.